My name is Dale Glenney (aka animal) I'm 68 years young and I live in Cinnaminson New Jersey. I'm a LIFETIME DRUG FREE lifter and I have been competing in the bench press since 1996. I currently own 7 WNPF bench press records. I'm currently retired from competing (12/2011). 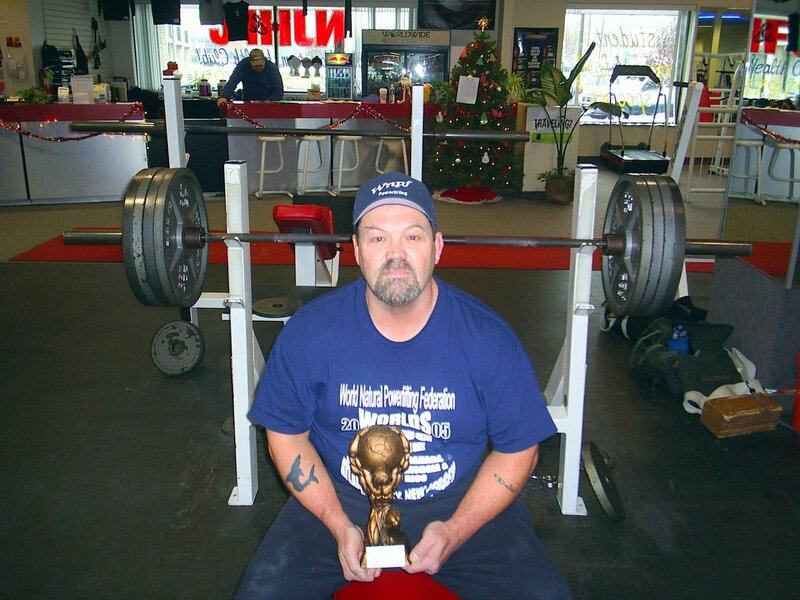 *WNPF NJ State Bench Press Record, Masters 55-59 198 Weight Class @ 350 lbs. * WNPF NJ State Bench Press Record (SP) Masters 60-64, 220 Weight Class @ 370 lbs. 12-10-11 @ 61 years old. My last meet was December 10, 2011 at the WNPF Sarge McCray Powerlifting Championships in Bordentown NJ. I competed in the bench, master division 60-64, 220 lb weight class (bwt. 216). I took 1st Place in the bench press with a 370 lb. lift. and broke the National and New Jersey State record. Since then I have decided to retire from competing. My right shoulder has been hurting for some time now and this is holding me back from training hard. In June (2012) I decided to see an orthopedic doctor. The xray results were not good... the cartlidge is worn away in my shoulder joint (bone to bone). And there's alot of arthritis in the joint. The doctor recommended shoulder replacement but at this current time I want to hold off...so the doctor gave me a cortisone shot. I will continue with them as long as I can, then I'll have to get a shoulder replacement. So as of June 2012, I am official retiring from competing. But the good news is I took the written and practical test (9/2012) for judging (WNPF) and I passed them both. I'm excited about judging and I feel I will do great. I love powerlifting and since I can't lift any more judging is the next best thing. No benching but still judging meets for the WNPF. So far I've done 10 meets and I look foward to the next. As I've mentioned before the passion is still there for powerlifting and judging is the next best thing to competing. If any WNPF lifters have any questions about benching feel free to ask me. I love talking about benching. My shoulder got so bad I was pretty much forced to get it fixed. On August 27, 2015 I went under the knife. I had to have a total shoulder replacement. I started my physical therapy 2 weeks after the surgery. I finished up my therapy in December and I'm now on my own working out 3 times a week. I was told not to do any flat benching but I am able to do some work on a bench press machine. I'm keeping the weight light. I'm consentrating most on the rotator cuff and muscles around it. I'm doing real good and I'm pretty much pain free. I'm so glad I got it done. Competing in the bench press is over but at least I can live the rest of my life pain free.